As part of the package of Beard balms that I was sent from Big Dobs, I was sent a Gunslinger Beard Bar. Gunslinger Beard Bar is an all natural bar to clean your beard, made from Saponified Oils of Tallow, Canola, Almond,Cocoa Butter, Water and Fragrance and as they say 50,000 Unstoppable Watts of power! It’s important to wash your beard with a product that has been made for beards, other soaps and shampoos may contain ingredients that strip your beard of the oils that are essential for a good beard, after all what is the point in spending money on oils to give us the best beard we can grow and then stripping it all out with an unsuitable soap or shampoo. I wash my beard twice a week, really you don’t want to be washing it daily but understandably some of you have no choice. 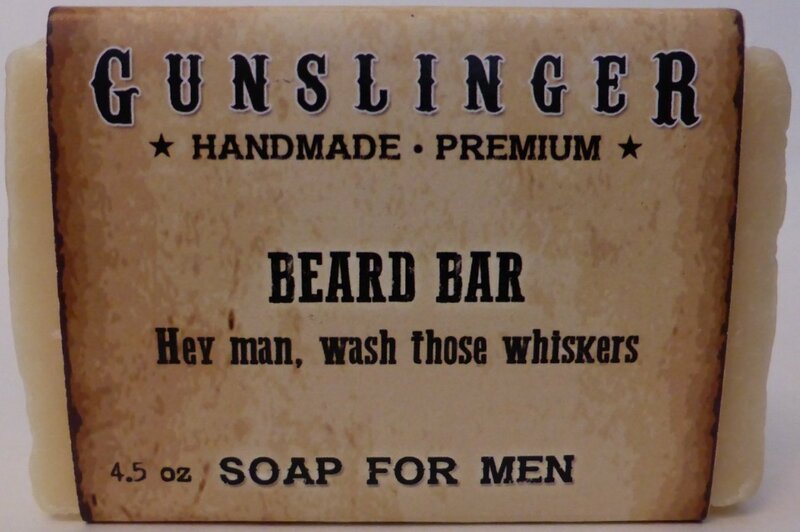 Washing with a soap like Gunslinger Beard Bar will help if you need to wash daily though. Gunslinger Beard Bar gave a good lather quickly, where I live the water is very hard and it’s difficult to get a lather in this sort of water. The Gunslinger Beard Bar did a good job and cleaning my beard and it was left feeling soft and ready for an oil or balm. Priced at $5.00 which is about £3.82 GBP at today’s exchange rate on their website, now that’s a damn good price for a damn good soap! You can keep up to date with Gunslinger on Facebook. You can also keep up to date with Big Dobs on Twitter, Instagram and Facebook.